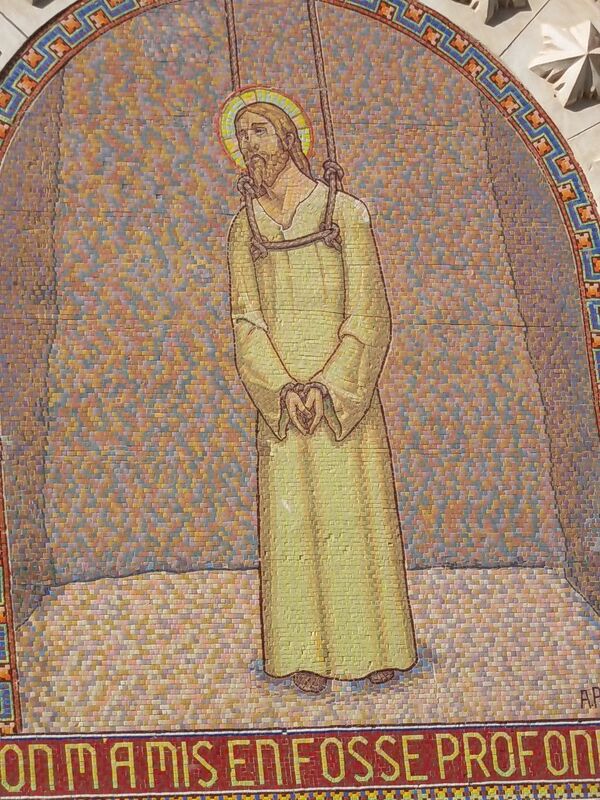 This mosaic of Jesus in the dungeon during the night of his arrest is found outside the Church of St. Peter in Galllicantu in Old Jerusalem. I prepared the following movie from video footage and photos I took during my Holy Land trip in 2011. It features what was perhaps the most moving part of the trip: our visit to the House of Caiaphas (now the Church of St. Peter in Gallicantu), where Jesus was tried before the high priest and spent his last fateful night before the crucifixion. Peter denied Jesus in the courtyard outside. This entry was posted on	April 17, 2014 at 4:28 pm	and is filed under Uncategorized. thank you for this gift. very moving. may I use this for our Good Friday service tomorrow?